BoJack Horseman is an animated adult sitcom series that premiered in 2014 on Netflix. The animated series takes place in an alternate world where humans live side by side with tailless anthropomorphic animals. 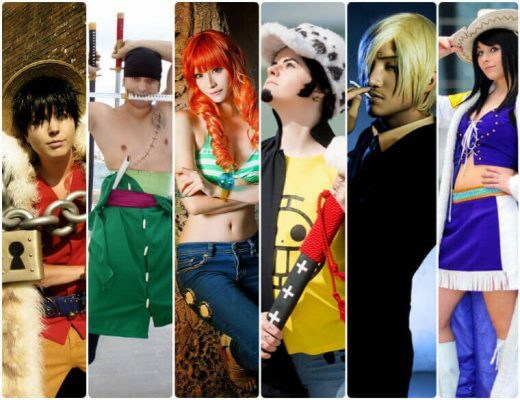 It is one of the most popular adult animated sitcoms in the world. The main character in the series is BoJack Horseman, a washed up actor. BoJack Horseman used to be the start of the 1990s sitcom called Horsin’ Around. 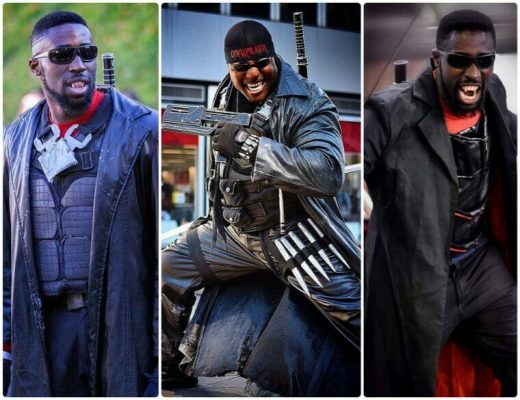 The series centers on his attempt to make a comeback as an actor. He's going to this through his tell-all autobiography that Diane Nguyen, a ghostwriter, will write. But BoJack’s significant comeback attempt will not be easy, as he will have to deal with several other characters in the series. One of that character is Princess Carolyn, who is his demanding agent and also his on and off girlfriend. Then, there’s also his freeloading roommate Todd Chavez who has a knack for getting himself into all sorts of trouble. To complete the main supporting characters, BoJack also deals with Mr. Peanutbutter who is a good friend and a former sitcom rival. This article will be a Bojack Horseman costume tutorial. Let’s review the costume ideas for each key characters one by one. BoJack Horseman is the titular main character of this popular animated adult series. He is an adult male thoroughbred cross horse that is 6 feet and 7 inches tall who also has a fat belly. He used to be a huge celebrity, starring in the sitcom Horsin’ Around. The series focuses on his life after his sitcom and his attempt to regain his celebrity status. As the main character, BoJack is one of the primary options of people who are looking to cosplay characters from this sitcom. The BoJack Horseman cosplay set features his full costume, which includes his blue t-shirt with a unique design on the front, his blue-green pants, and red sneakers. The costume set also comes with the light grey jacket that the character always wears. 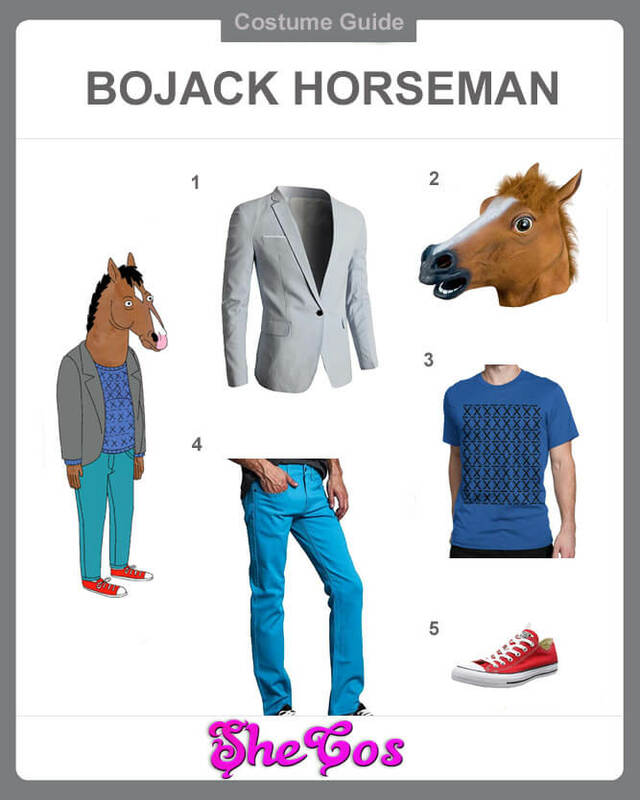 To complete the cosplay set, you should not miss the horse head mask of BoJack Horseman. The BoJack Horseman adult animation sitcom is set in Hollywood and in an alternate reality where animals can talk and act like humans. The main character is BoJack Horseman, and he is not your typical horse. Like a lot of the animals in the adult animated series, he has human hands and feet, as well as no tail. The series focuses on BoJack’s life after his stardom and in his attempt to make a comeback. As the main character in the series, BoJack is the primary option of men looking to dress up as characters of the adult animated series. Achieving his look is not that hard, considering his iconic outfit consists of a blazer, a shirt, pants, and red sneakers. You would need a horse head mask to complete his look. It doesn’t mean you won’t stand out, though. 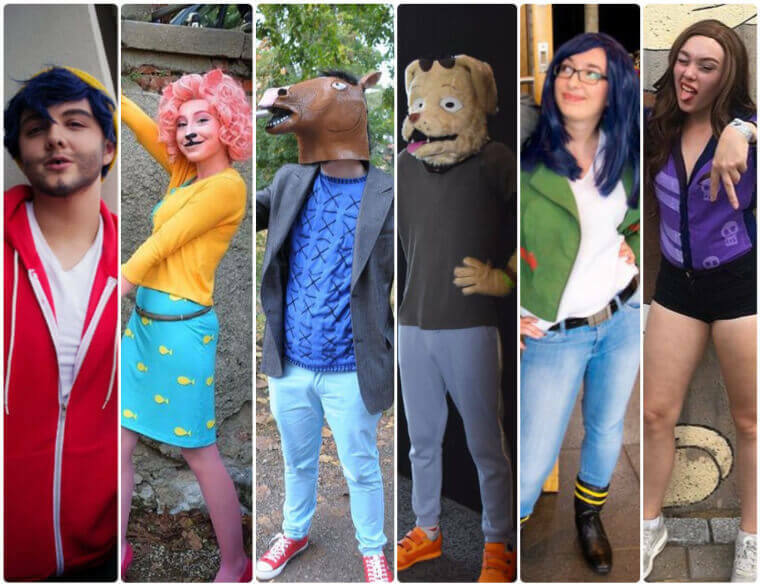 Looking at the BoJack Horseman cosplay photos, you can see anyone who dresses up as BoJack will stand out, despite the simple clothing. It's a good idea to play with Princess Carolyn for couple cosplay. Princess Carolyn is one of the main supporting characters in the series and ex-girlfriend and ex-manager of BoJack Horseman. She is an anthropomorphic Persian pink cat that used to work as a talent manager for Vigor before starting her agency. She and Diane Nguyen are the main female character of the sitcom, making her one of the options for women to cosplay in. Dressing up as Princess Carolyn doesn’t necessarily mean that you have to wear a cat head mask. 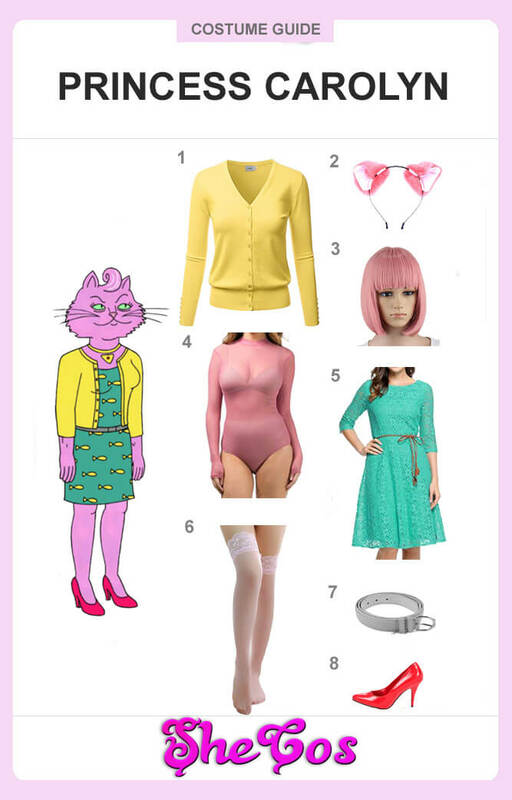 This Princess Carolyn cosplay set will feature the full costume. It includes the yellow sweater she always wears, the mint-green dress underneath it, a grey belt, a short pink wig, and a pink cat ears headwear. The collection also comes with pink stockings and sheer pink shirt, to reflect the pink fur of Princess Carolyn. Completing the cosplay set is a pair of red high heels. Princess Carolyn came from a very low-income family and she was the runt in a litter of 12. She and her siblings live in a room in the house of the wealthy Wallace family, as their mother is a stay-in maid. Since their mother is lazy and a drunkard, Princess Carolyn was left to do all of the household work, which is where she got her workaholic and persistent attitude. She met BoJack Horseman when she started working as an intern at the Vigor agency. That is also where she began having an on and off relationship with the actor. When it comes to cosplaying Princess Carolyn, there’s no need for a cat mask. If you look at the Princess Carolyn cosplay photos, you can see that playing with the hairstyle and using makeup is enough to achieve a great look of the character. Diane Nguyen is one of the main supporting characters in the BoJack Horseman adult animated series. She is an American writer and the ex-wife of Mr. Peanutbutter. She was hired to be a ghostwriter to write BoJack’s autobiography in season 1 of the series. It allowed her to develop a close friendship with the main character. She is also one of the primary options for females who are looking to dress up as characters from the series. Diane Nguyen’s appearance is not that hard to achieve, considering her outfits are not out of this world. The Diane Nguyen cosplay set will consist of a white spaghetti strap top with a green jacket that has red arrow designs on both sides pointing towards the middle, and blue jeans. The set will also come with Diane Nguyen’s glasses, black boots, and a black leather belt to complete the overall look. Diane Nguyen is a Vietnamese-American woman who is also a misunderstood intellectual writer. She sports a long midnight-blue hair in season 1 to 4 of the series. Diane cut the hair into a layered bob in season 5. After becoming a BoJack’s ghostwriter, she was hired to be a celebrity Tweet ghostwriter in season 2 at Princess Carolyn’s agency, where she stayed there until season 3. Though she is not the partner of BoJack in the series, the two of them develop a strong and close friendship, with BoJack even harboring feelings for her. That is why you can consider her as somewhat of a female lead in the series. Unlike BoJack, Diane is a human, so cosplaying here is not that hard to do. Looking at the Diane Nguyen cosplay photos, you can see how simple it is to achieve the character’s look. 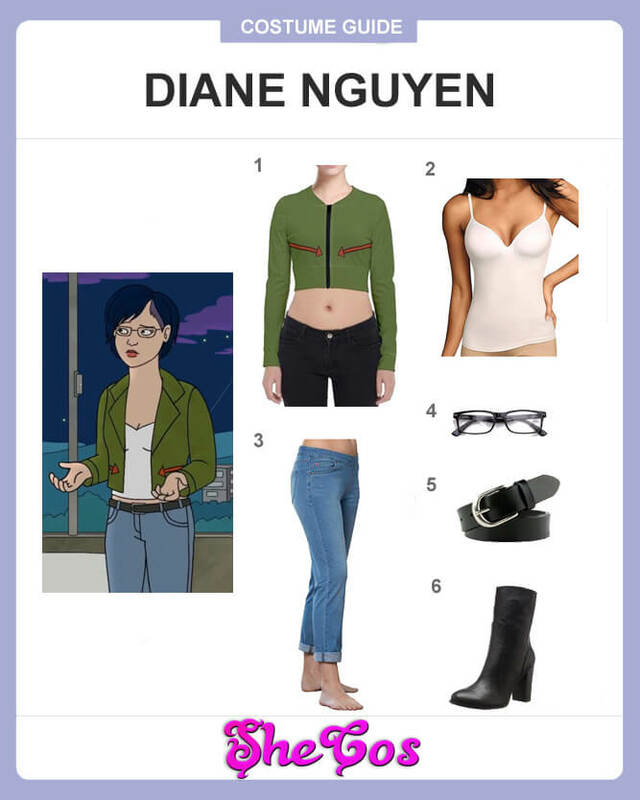 Despite its simplicity, you can also see how appealing Diane Nguyen is and how perfect it is if you will go with someone who will dress as BoJack for couple cosplay. Mr. Peanutbutter is one of the main supporting characters of the sitcom BoJack Horseman. He is a good friend of BoJack and he was also a rival actor. Mr. Peanutbutter was the star of the series Mr. Peanutbutter’s House, which is a rival of BoJack’s sitcom Horsin’ Around. He dated and married Diane Nguyen, but they eventually divorced in season 5. Mr. Peanutbutter is an anthropomorphic yellow Labrador retriever who is likely the same age as BoJack but looks much younger and fitter. 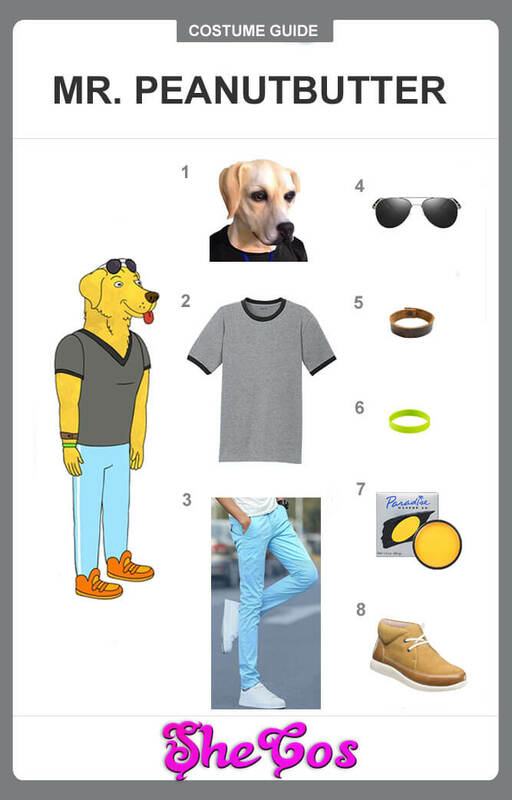 For this Mr. Peanutbutter cosplay set, his iconic look will be featured. The costume includes a grey t-shirt with dark grey outlines on the neck and sleeves. It also comes with sky blue pants and brown shoes, and a yellow body paint to mimic the character’s color. The set will also have a few accessories, which are the sunglasses a leather wristband and a light green wristband to be placed on the right wrist. The collection also consists of a dog head mask for Mr. Peanutbutter’s look. Mr. Peanutbutter is an energetic and cheerful Labrador who is always looking to socialize and make friends with people. He wasn’t an actor when they chose him to star in Mr. Peanutbutter’s House. He got the gig after he accidentally barged into the set while they were taping and wowed the director and audience. BoJack didn’t like him because he feels that the show is just a ripoff of Horsin’ Around, which it is. But this didn’t stop Mr. Peanutbutter to be friendly and energetic whenever he meets BoJack Horseman, which annoys BoJack even more. When it comes to cosplaying Mr. Peanutbutter, his outfit is simple, but he does standout because he is an energetic and friendly dog. If you look at the Mr. Peanutbutter cosplay photos, you can see that portraying this character will not only require you looking like him but also matching his energy and charisma. Todd Chavez is one of the main supporting characters in BoJack Horseman and is the best friend of the main character. He lives with BoJack rent free and sleeps on his couch. When Todd moved out, he moved in with Mr.Peanutbutter and Diane Nguyen. He currently lives in Princess Carolyn’s old apartment. Todd and Diane are the only humans among the sitcom’s main characters. Cosplaying Todd Chavez is easy since he is a bum and doesn’t dress well. His full costume will consist of a white t-shirt and a red hoodie jacket on top of it. 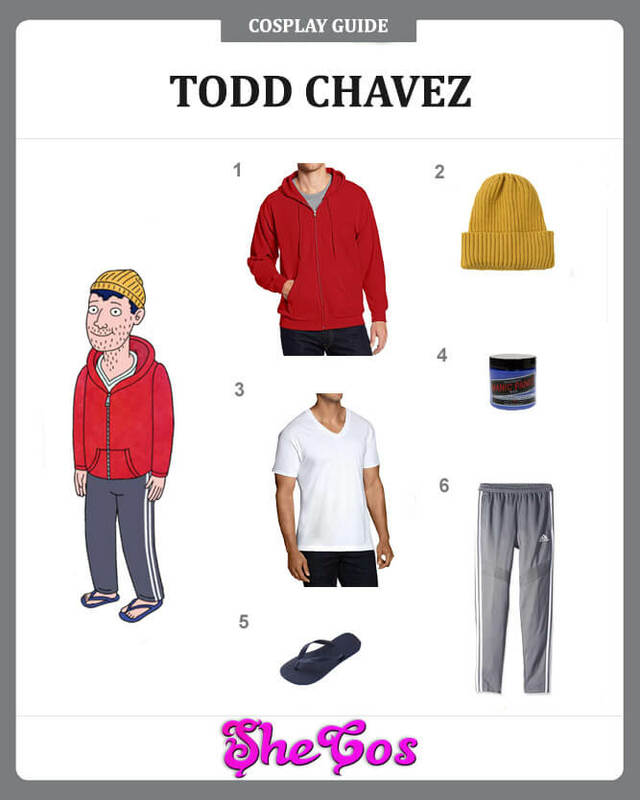 The cosplay set will also come with a yellow beanie that Todd usually wears, grey jogging pants with white stripes on both sides, and his black flip flops. The Todd Chavez cosplay set will also come with a hair color paint that you can use on your hair since Todd has dark blue hair. Todd Chavez is the freeloader among the group. He is lazy, a slacker, and doesn’t do a lot. But he is always more than willing to help his friends out, helping Princess Carolyn with her errands, cooking food for Mr. Peanutbutter and Diane, and helping BoJack in whatever way he can. He was also shown to be creative and dedicated to the tasks that interest him. That puts him in different work and situations. He does have a knack for getting himself into trouble, especially if he does things on his own. Dressing up as Todd is pretty simple since he is portrayed as a bum, his appearance matches that portrayal. If you check out the Todd Chavez cosplay photos, you can see that dressing up as him means that you should look a bit like a bum or a lazy person. But don’t get that look fool you, as Todd was creative and dedicated about the things that interest him. It is similar, in a way, to how some artists portray themselves. Sarah Lynn is a recurring character in the adult animated sitcom BoJack Horseman. She is a pop star who also played a starring role in BoJack’s TV series Horsin’ Around. Sarah played the adoptive youngest daughter in the TV series. As one of the recurring cast, she is also an option for ladies looking to dress up as BoJack Horseman characters. Like a lot of the sitcom’s characters, Sarah Lynn has one distinguished outfit that she wore throughout the series. 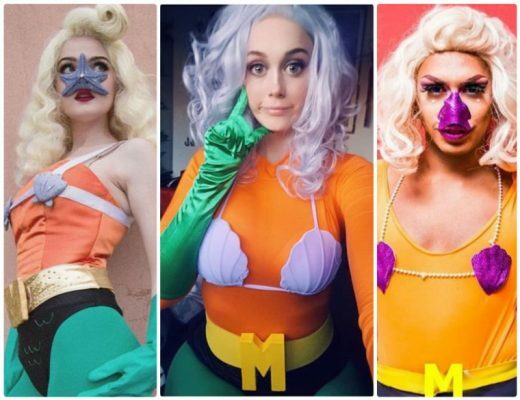 Her iconic outfit will be featured in this cosplay set. It includes the blue long sleeves collared shirt with skulls design on the right and blue and white lines on the left. 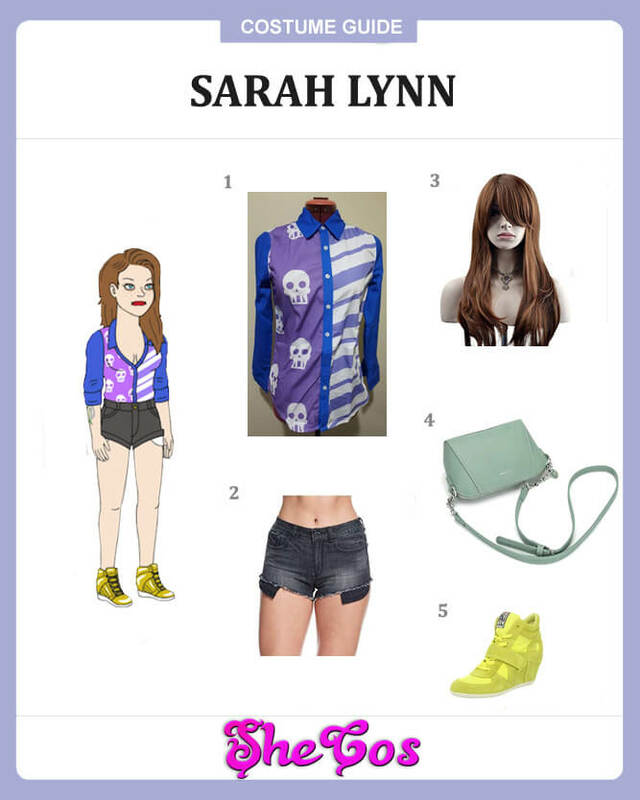 The costume also comes with jean shorts, a long brown wig for Sarah’s hairstyle, and a high-cut yellow rubber shoes. The Sarah Lynn cosplay set is completed with a teal sling bag for the character’s accessories. Sarah Lynn began her acting career at the age of 3, playing Sabrina in Horsin’ Around. But she did not decide this as it was her mother who forced her into acting. Sarah wanted to be an architect, but her mother didn’t allow her. She was also homeschooled, which prevented her from socializing with other children. Her character, Sabrina, in the TV series became a fan favorite. That is after BoJack told her the importance of being useful to her fans. Her fame, though, came at an expense since people around her started using her because of it. She became depressed and addicted to drugs and alcohol. Though Sarah Lynn is rebellious and an addict, it doesn’t mean she’s a lousy choice to dress up in. Looking at the Sarah Lynn cosplay photos, you can see that she still looks good and even has that bad girl vibe.